As a Swiss specialist for LED lighting technology, in particular LED linear and continuous line luminaires, you will receive a large selection of LED strips, aluminum profiles and accessories from our warehouse. As a finished lamp or semi-finished product. 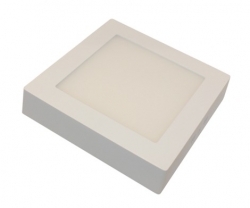 Our assortment is complemented by high-quality LED recessed lights, inside lights, outdoor lights and LED bulbs from well-known manufacturers. With our LED Configurator, you can easily put your LED light together online. You can save, load and rework these, always keeping an eye on the price.